Why & How to Cite? 1. It is ethical. You avoid plagiarism by giving credit to the people whose ideas and research you use. 2. It is proof. It adds credibility to your argument by showing your research and conclusions are based on reliable information. 3. It is understood. Scholars in your discipline use this standardized format to communicate and share information. Now you know why you have to cite, but do you know how to write your citations? This flowchart created by CSUSM librarians will take you through the process step-by-step. Want a larger image? Click How to Write a Citation Flowchart [PDF]. This is the official APSA manual published by the American Political Science Association. It is the most recent and up-to-date edition available. 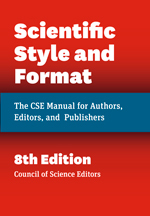 The CSUSM Library owns a copy of the official APSA Style Manual that you can consult in person. Click on the link to see where it is located. 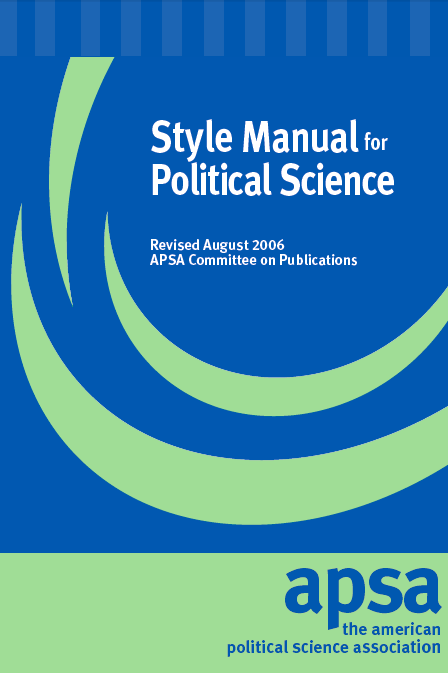 The entire APSA style manual is also available for free online from the APSA website. Click on the link above to view the PDF. See examples for how to cite most commonly used materials in political science papers, including government and legal documents. 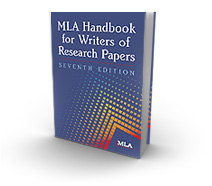 A straightforward webpage with examples for citing online and print books and articles. What is Chicago or "Turabian" style? 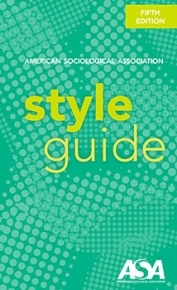 Chicago Manual of Style was created by the University of Chicago Press. It is the citation style preferred by historians, but is also often used in other arts and humanities subjects. There are two ways to format a bibliography in Chicago style - the Notes-Bibliography system (more common) and the Author-Date system. Always check with your professor to find out which system you should use. You must cite images as well as quotes. Use the examples at the Library of Congress as a model. Remember that there are two parts to your citation: information about the image and information about where you got the image. ​Citing Primary Sources - 15th ed. (Library of Congress) - ATTENTION this page is based on the 15th edition of the Chicago Manual of Style but provides guidance on how to cite many different types of primary sources, including photographs, cartoons, sound files, pamphlets, etc. There are many applications available to help you create citations. Some databases also provide citation formatting assistance. These can be convenient, but they are NOT 100% accurate. ALWAYS check that the citation is formatted correctly according to the official style guide. KnightCite Citation Service from the Hekman Library of Calvin College in Grand Rapids, Michigan. Zotero from Roy Rosenzweig Center for History and New Media.